So glad you have taken time out of your day to visit. 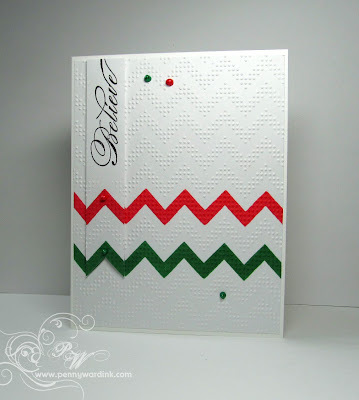 Create a card and use your favorite embossing folder, plate or tool to add texture to your design. Then highlight some of the embossed area with paint, ink, chalk or embellishments. 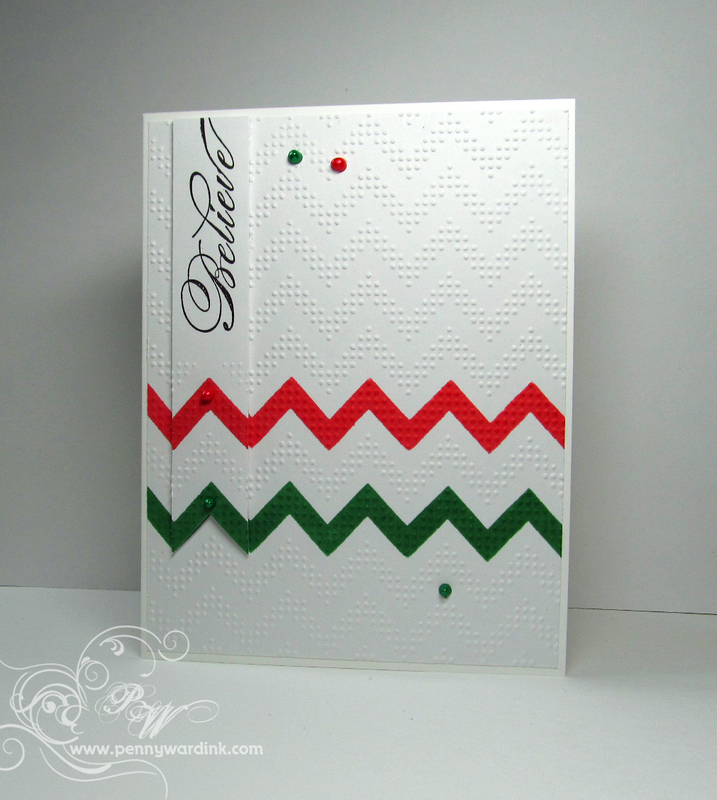 I embossed a piece of white card stock with my new favorite folder by Provo Craft called "Charles", then masked two sections and inked them with Memento Lady Bug & Cottage Ivy. I then took a small strip of white card stock, embossed just the bottom portion, inked to match the card, then stamped sentiment with Penny Black Winter Wonders, & popped it up with foam adhesive. 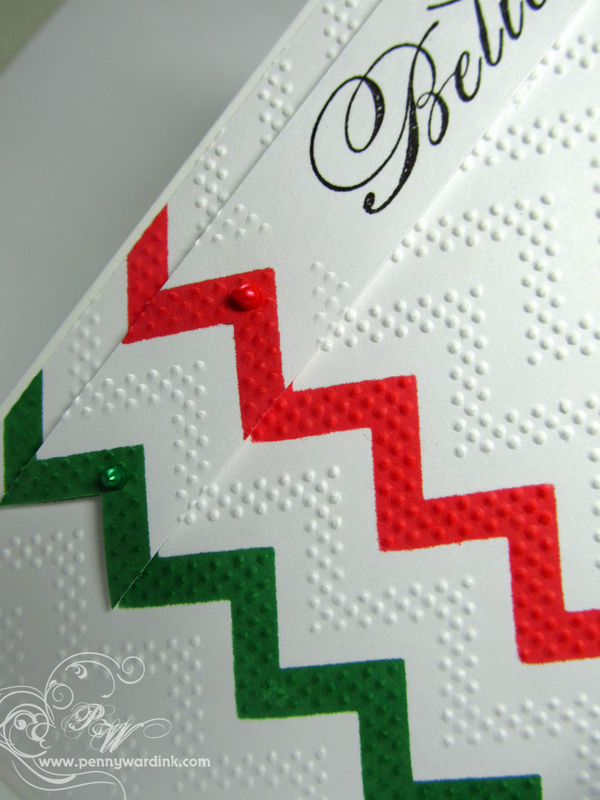 No card is complete without Liquid Pearls. Awesome!! So crisp and bright and CAS, yet lots of detail!! Love all the texture and your awesome CAS design!